Eye to Eye is the culmination of John and Linda Rumney's 30 years of extensive experience living and working on the Great Barrier Reef. Though atypical for conservationists, John and Linda's experiences with the reef began as commercial fishermen. After years diving and learning about this environment they became first-hand witnesses to the negative impacts of human activities and climate change. In John's words "The more fish I saw disappearing, the more moved I felt to do something about it." This motivated the Rumneys to embark on a new career, with the primary goal to protect the sea they had grown to love. 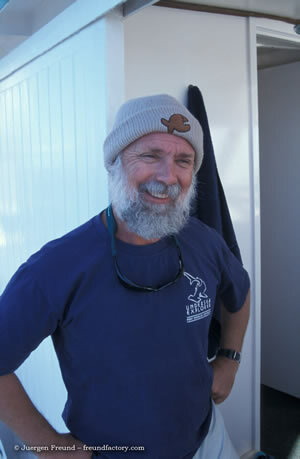 John has since belonged to many different conservation projects and councils, consulted for Climate Change panels, and worked alongside and featured in many environmental TV programs and documentaries (including the Discovery Channel, VOX TV, National Geographic, ZDF, Stern, Channel 10 news, and 60 minutes)." The Rumney family and their team of dedicated guides would like to extend their passion for the underwater world to anyone who wants to be involved. 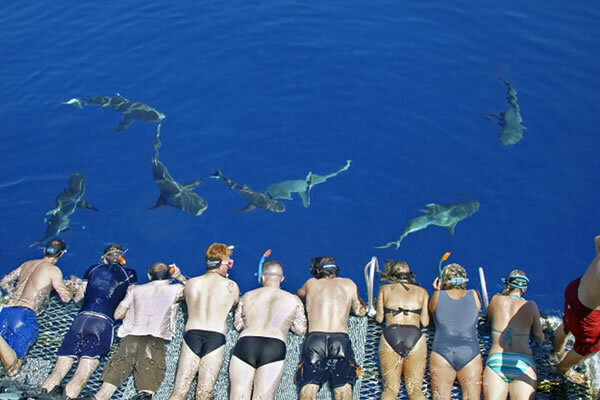 By joining Eye to Eye, you will benefit from local knowledge and experience, visit the optimal spots for each day (ensuring the best conditions and seasonal highlights), experience a positive and educational approach and be assured that your trip has minimal impacts on the environment.